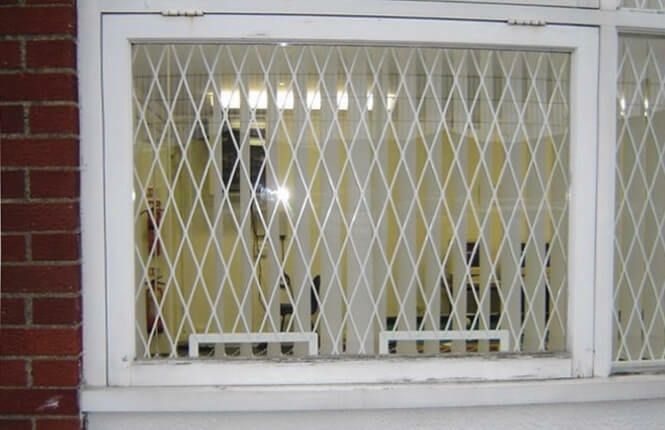 Although mostly fitted on homes and the residential sector, RSG800 security mesh grilles provide the cheapest security solution for most window and door glazing applications, in comparison to fixed security bars and concertina security grilles. 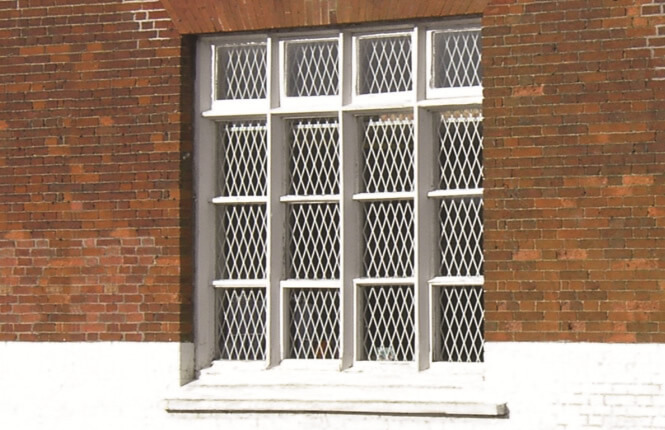 Designed for low-medium security, our fixed mesh grilles are made to measure, manufactured for both reveal and face fitting and powder coated in white as standard, although other colours are available at an extra premium. 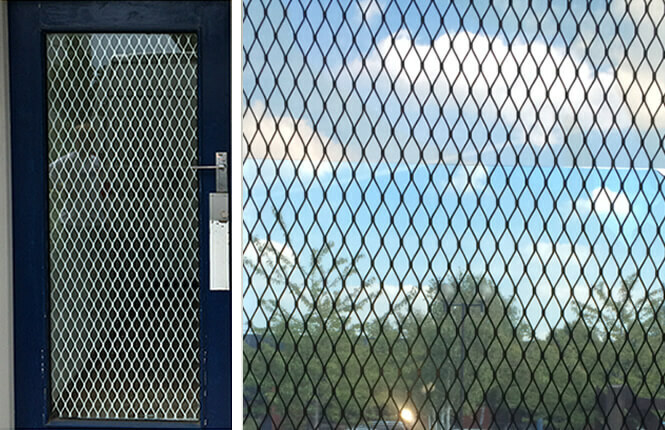 Our security mesh are available in three different sizes of diamond mesh and also in a squared/rectangular welded mesh. For more information, please see our RSG800 technical data page. 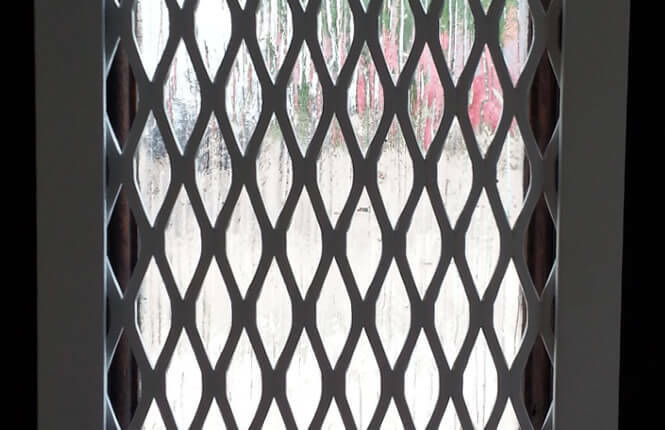 RSG800 fixed mesh grille is one of the most cost effective security product for windows and doors in the United Kingdom. Ideal barrier for securing small windows and glazed doorsets. Available in a range of colours, cut-outs and extras where required. Updating content, please bear with us. For more info, please call or email us, thank you. Thank you for Contacting us! we'll Keep in touch with you! The retractable window grille is all installed and it's doing a great job.I would like to add the fitter was very polite and i will definitely recommend you guys. I wish everyone was as efficient, competent and professional as you and Sylwester and I think you guys will go far with such a good attitude. It's a pleasure to give feedback as I was very pleased with their service. I can honestly say their security bars are top quality but their customer service is even better, Recommended! Hi to everyone in rsg security team, thank for your kind and good communication through my order, you were very helpful, thanks a lot. 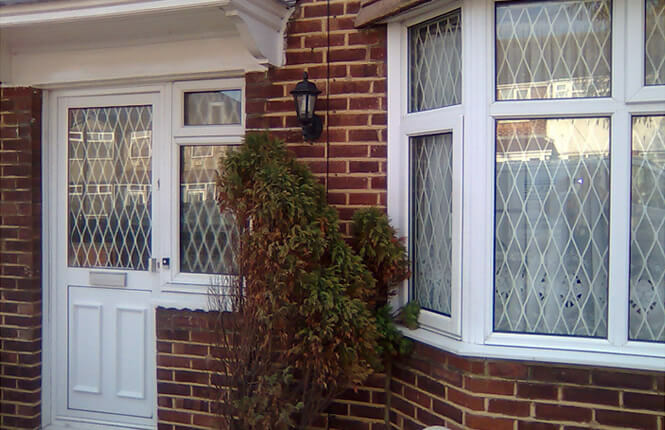 Excellent service from RSG Security, professional and high quality installation. Already recommended to family and friends who commented on the quality of the grills. Will definitely use again. Quick, efficient, delivered what you said you would. We'll definitely be using you again. Love our new shutter - great product wonderful professional services we highly recommend the company. Thank you very much for your efficient and prompt responses and help with seeing this urgent order through even at out of office hours. I am absolutely delighted with the product, the company and the service - it is the very first time I have emailed a review but I was so impressed that they worked so hard on making the clients happy I wanted to let other people know. I would use your firm again without hesitation. Many thanks - will be in touch if more work arises. Thank you for the professional way you have dealt with us, and the quality & price combination. Very happy with the work done, will gladly recommend! 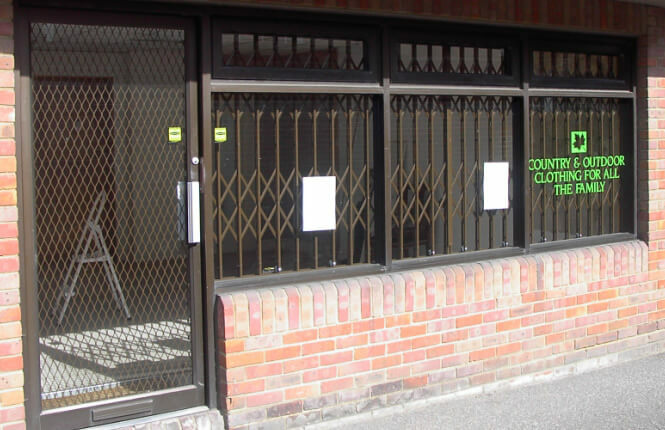 We found RSG to be professional and they operated in a friendly manner both from the office and on site. 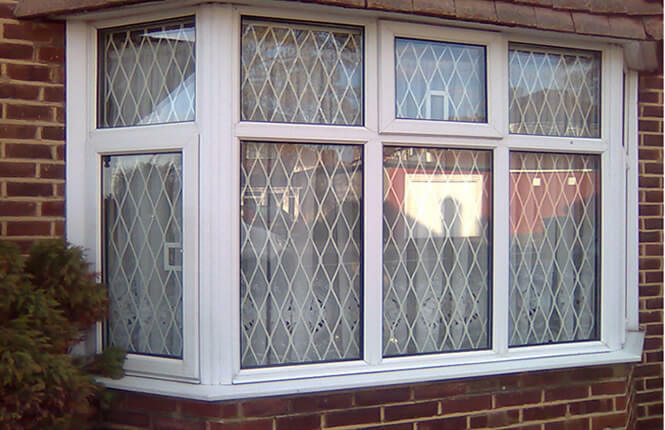 My customer was very satisfied with the finished product and we would recommend RSG for future works. Thank you for all your help and professional advice and help, it was a great pleasure to do buisness with your company, I would have no hesitation in recommendig to you guys to other customers. I am very happy with my new shutters, Sylwester was very patiennt and found the best solutions, as my windows and curtains were a bit complicated, definitely will recommend your company!